We can help you with Life Insurance Approval with Blood Clots and Emboli! We know it can be frustrating searching for a life insurance policy with a history of Blood Clots and Emboli. Can I Qualify for Life Insurance if I have Blood Clots and Emboli? Yes, most individuals with Blood Clots and Emboli will be able to qualify for traditional life insurance, the type of insurance which requires a medical exam. Best Case Scenario – Best cases that may get a “Standard” rating include a single incidence of a Blood Clot and Emboli such as pulmonary embolism (PE) or deep vein thrombosis (DVT). If these cases have been resolved without the need for medication, cases have occurred more than three years ago or for those that have mild cases of leg varicose veins but with no symptoms of current inflammation or severe pain may qualify for the best rating. Click here for quote at “Standard”. Moderate Case – “Mild Substandard” rating can be given to the following cases: cases of Blood Clots and Emboli that are currently on anticoagulant medication like heparin with no flare symptoms of pain or inflammation, and those that have had only two mild episodes of DVT or PE may qualify for this rating. Click here for a quote at “Mild substandard”. Special Considerations – There are cases, however, when it is difficult to determine the appropriate rating without thorough evaluation such as those with current Blood Clots and Emboli; these cases may have to wait until symptoms are resolved before a rating can be given. Another would be moderate cases of varicose veins that are complicated by ulceration or infection may have to be physically assessed by a physician to determine the appropriate rating class. How many years since you were diagnosed with Blood Clots and Emboli? Long-term cases can easily tell whether a case is controlled or not, and for those that have experienced symptoms two times for the last three years may get a “Mild Substandard” rating and for those with more than three episodes in the last three years may need further evaluation. Have you experienced any symptoms within the last 12 months? Symptoms of pain or inflammation especially on the legs are signs of flare attack and may have to wait until the condition is resolved before an appropriate rating can be given. Are you taking medications right now? The need for medications for pain may also indicate an active case of Blood Clots and Emboli that may have to wait until the case is resolved before a rating can be determined. Do you have any history of the following conditions and when did it occur? Cases include myocardial infarction, cerebrovascular accident, pulmonary embolism, deep vein thrombosis, varicose veins and others that are related to the occurrence of Blood Clots and Emboli. These cases, and when they were diagnosed will determine the severity of the condition, and therefore, may be used to determine the appropriate rating. Are you smoking at the moment? This is a very important lifestyle to determine because smokers have a higher risk of experiencing increased incidences of Blood Clots and Emboli because nicotine can make blood vessels hardened. Do you have you other medical conditions? 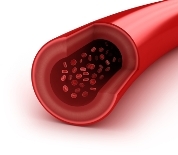 Medical conditions such as diabetes, hypertension or heart disease may contribute significantly whether the Blood Clots and Emboli will have higher probability of recurrence or not. Blood Clot also known as thrombus is normally only activated in cases of injury where platelets collect together to form a plug that stops bleeding. However, it also occurs as an abnormal condition where it forms unnecessarily and cause inflammation, infection or ulceration to large veins especially in the areas of the lower extremities (thrombophlebitis) and pelvis (deep vein thrombosis). Emboli, on the other hand, are clots that can be made from air, blood or gas that dislodge and travel throughout the blood vessels and arteries. These causes more serious risks because of the capacity to cause blockages in the small blood vessels that can lead to immediate lack of oxygen supply especially to the lungs (pulmonary embolism), heart (heart attack) or brain (cerebrovascular accident) and result to debilitating conditions or even death in some cases.